Because of his family history and high cholesterol, Kyle and his wife wanted to get these issues fixed once and for all. 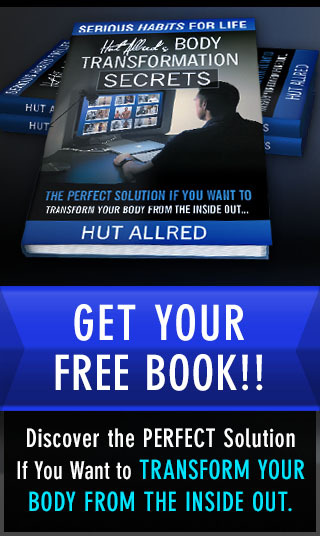 Hut: This is Hut Allred with New Wave Fitness, and I’m here with Kyle Faegre in Plano, Texas. How are you doing, Kyle? Kyle: I’m doing good. How are you? Hut: Good, good. So Kyle has been our client since what, 2012? Hut: Yeah, it does fly. We don’t have too much more gray than we did then. Kyle: Well, maybe, we’ll see. Cut it short and you don’t know. Hut: Well, good, good. 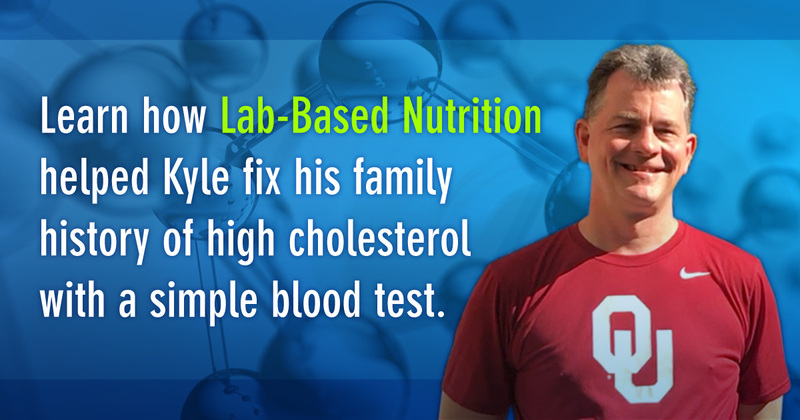 So Kyle and Wendy—they both went through our Lab-Based Nutrition program and I wanted to go over your thoughts about the whole process. So tell me, before we went through our Lab-Based Nutrition program, what were you doing from a nutrition standpoint? Kyle: Nutrition wise, just taking a lot of supplements—vitamins and whatnot—because we thought we needed to. Not really sure what we were doing; just said, Yes, we need to take some just to make sure we’ve got what we need. Nutrition wise, not necessarily doing anything specific. Probably eating out more than we should and not necessarily paying attention. Probably eating too much of certain kinds of things but not really thinking about it, to be honest with you. Hut: Got it. What really helped you make the decision to move forward with the program? Kyle: There were a couple things in my background and just in doctors’ visits that said things like your cholesterol is too high, taking blood pressure medication, probably needed to lose some weight—things like that. We’ve been training and getting in better condition, et cetera; it wasn’t necessarily translating into weight loss. Still, taking the medication, the cholesterol was still high, so it was like, okay, let’s do something so I don’t have to worry about that. Looking at the history in my family, I wanted to make sure I didn’t have that problem. Hut: Definitely. I think it comes back to that physiology over the last few years—it still changes. It’s like, how do you make the adjustments to your program to stay ahead of the curve? Let’s go over what we found when we went through your Lab-Based Nutrition program. As Dan went through each of those, line item by line item, how did that make you feel? Kyle: A couple things. One, it’s a lot of information. Just a ton of stuff that I’d never heard before, to be honest with you. Then when he correlated them to, “This means this,” the picture started to make sense. The things that I was either feeling or experiencing, they matched up with what the data said, which was eye opening. I said, Okay, that makes sense. Then it sounds like we’ll have a plan to do something about it. Kyle: It felt good knowing there’s a reason why it’s happening and you could do something about it. It’s really that simple. You CAN do something about it. Hut: Exactly. It’s not like you’re getting this information and we say, “Hey, too bad, you need to keep taking this medication to solve this.” There are ways around it and we can get proactive and you can get optimal. How was your energy and focus having the clarify of what you needed to do on a daily basis? How much did that improve as a result of having that information and having that action plan built? Kyle: The point about having the plan, having a way to go after whatever we’re doing…at first, the plan itself is a little daunting. You’re like, Okay, how hard is this going to be to do for however many days/weeks, et cetera? But just knowing that there was a plan puts your mind at ease. We have a way to get there, it’s not complicated. There’s stuff you have to do but it’s not complicated. Hut: Yes, exactly. Well, it’s straight to the point and yes, there are some adjustments you have to make, but you’re willing to make those adjustments because you know why you’re doing it. Hut: In the past, somebody would just tell you you need to do something, the motivation may not be as high because you weren’t able to tie that specifically to what’s going on inside your physiology. Kyle: Yeah, and then we got some indicators part of the way through the program that said it’s working. The biggest thing I saw that I was concerned about was the cholesterol. It dropped by a third. About two-thirds of the way through the program, it had already dropped by a third, which was good, because that was one of the things we were really worried about. I could see a tangible result of the plan, so it’s like, This is good. Hut: Yes, so you’re already starting to see those results just from the labs you’ve taken before the next round of labs that we end up doing with Lab-Based Nutrition. Kyle: That, and the weight coming off. It’s 15, 16 pounds in 90 days. Hut: Yeah, in a short period of time. We’re getting back down to playing weight. That’s good stuff. Kyle: I haven’t weighed this in 20-plus years. Hut: I love it, man, that’s great. Well, that’s what it’s about. Kyle: You do have to want to make a difference and make your life better, for longer, which is really the whole point. Wendy and I want to live a good life, longer. So you have to be committed to doing that, but you’re not guessing. That’s the biggest thing. Before, you’re just taking shots and hoping something works or your doctor is giving you pills to manage something but not stop it from happening. Having a specific plan makes a lot of sense. Hut: Great. Would you recommend somebody to go down this path? Kyle: Yeah, I absolutely would because the biggest thing is, you’re not guessing. You know what’s going on. You know what things you are deficient in or things that you’re doing wrong, or that you could do better, and you have a way to do it. Because otherwise, you’re guessing or you’re going to do a lot of legwork on your own that you’re probably not going to understand. Kyle: Yeah, I’ve had cholesterol and a couple of other things but it’s like, Okay, you’re in range; that’s good, move on. Hut: Yeah, and it’s a huge range. I think that’s really what this program is about, is getting optimal. When you get optimal it’s by knowing what’s going on, knowing what to look at, then having the action plan to go turn those normal ranges into optimal. That’s what we’re striving for here. All right, big man. Hut: Thanks, Kyle. Appreciate it.